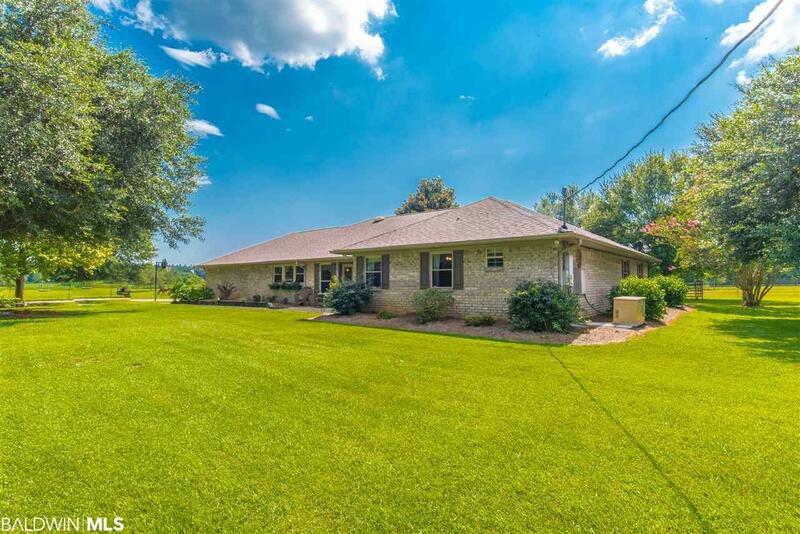 Twelve beautiful acres in Southeast Fairhope. 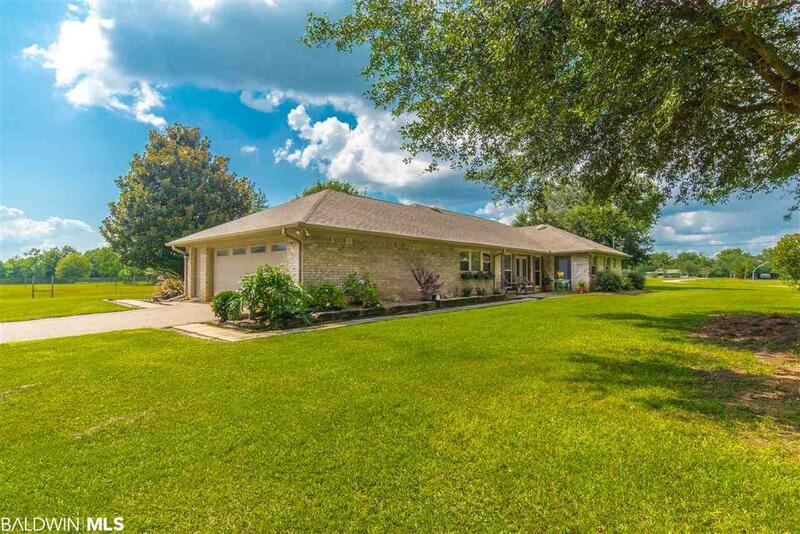 Property includes a 300x60 well fed pond, a 4 BR/2BA house and fencing for horses. The house includes many recent updates including beautiful wood floors, ship lap ceiling, neutral colors, open floorplan, new carpet in bedrooms, and freshly painted throughout. Kitchen has granite counters, Thomasville Cabinets, and tile flooring. Both baths have been remodeled, with the master having dual sinks, and a custom tile shower. House also features a whole home generator, double pane windows, new HVAC in 2018, and a metal storm shelter in oversized garage. 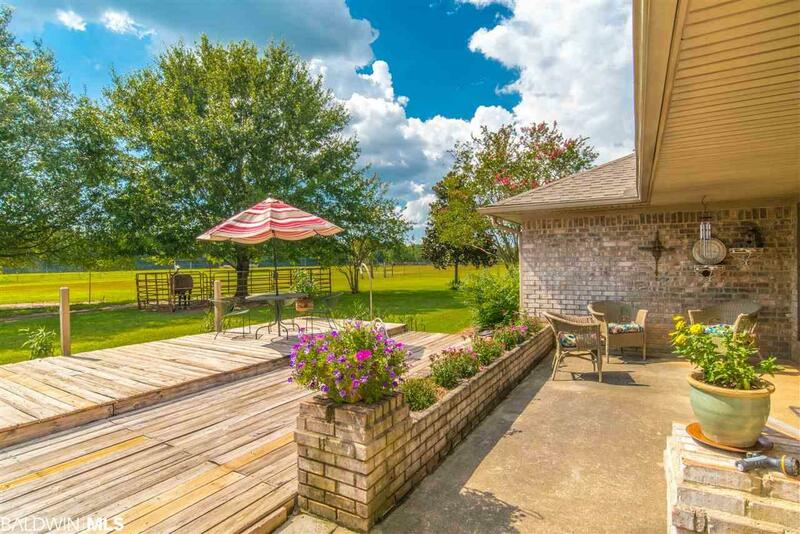 Great for those looking for ultimate privacy or wanting land for horses. Newly subdivided portion of tax PPIN 341806 plus existing PPIN 28639. 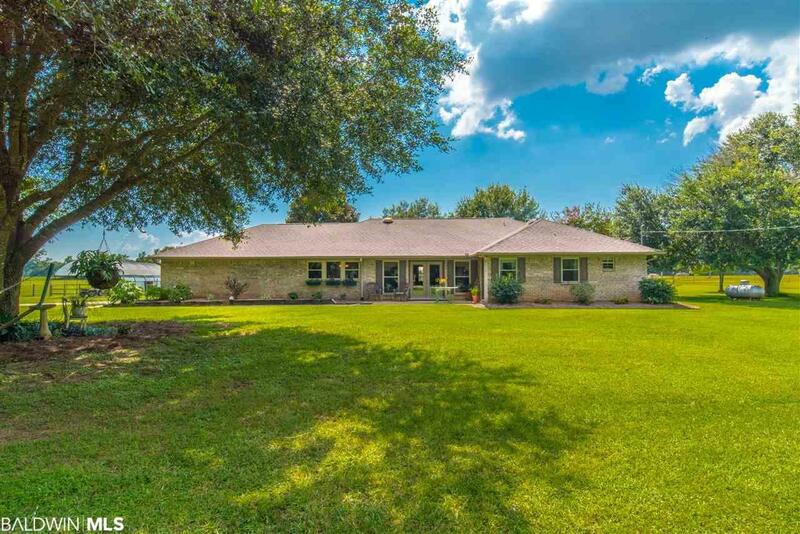 With acceptable offer, Owners will also consider selling adjoining 9.35 acres (remainder of tax PPIN 341806) with 1 BR cottage and Quonset building. Cottage is totally renovated including barn doors, wood floors, granite, & new appliances and HVAC. It has a utility shed, a carport and large ramped deck for handicap access. This property is currently income producing as a rental. Quonset could be converted to horse stalls or other storage configuration.